Queen duvet cover (88" x 88") featuring the image "Try Harder To Imagine" by Barbara McMahon. Our soft microfiber duvet covers are hand sewn and include a hidden zipper for easy washing and assembly. Your selected image is printed on the top surface with a soft white surface underneath. All duvet covers are machine washable with cold water and a mild detergent. Thank you Sandra Pena de Ortiz for featuring "Try Harder To Imagine" in the Memories and Nostalgia group! Very much appreciated. Thank you Chrisann for your awesome comment and support! Thank you very much Hanne! 15v, I liked this piece the first time I saw it and voted for it. Excellent image. Ah Bob! It's fans like you that inspire one to continue dipping their brushes. Thank you. Thank you Pedro for your wonderful comment and support! Your lovely compliment is so much appreciated Eva. Thank you Joseph for your nice compliment. 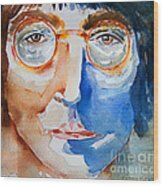 A thought a more sombre and somewhat distorted portrait may do justice to the loss the world felt and more importantly that fact that we do indeed need to "Try Harder To Imagine" a better world and then act on it!! Thanks again for your vote! Very beautiful, & fitting tribute to one of the world's greatest musicians. V.
Thank you Bob for your kind compliment and support! Thank you so much Chrisann! Coming from the "Queen" of Lennon portraits...well....what a compliment! Thank you for your vt also! Barbara, WOW!... 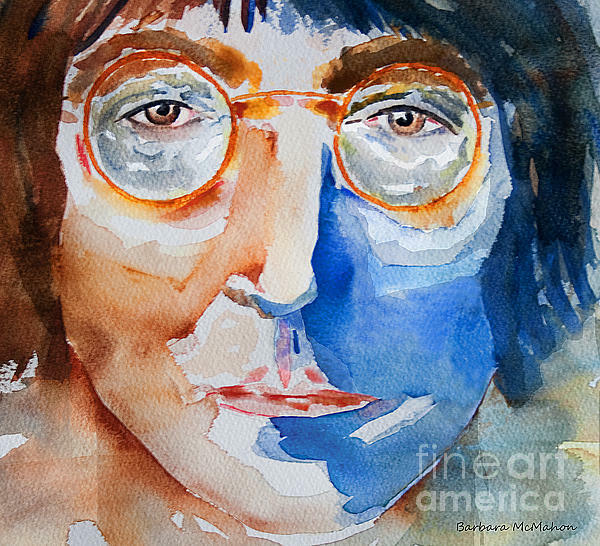 Stunning Watercolors and a Perfect Portrait of John and Title!!!!!!!!!... You go girl!!!!! fav.vt!! Thank you Janice. I was listening to his music as I painted this piece. Thankfully for the music and the arts he will live on forever! John Lennon was surely a colorful soul. You captured this perfectly. Voted. Thanks Elaine. You are most generous with your votes. Much appreciated. Thank you so much Shawn for your kind words and your vote! Paul, your flattery makes it worthwhile to pick up the brushes! Sometimes we need a little push and your contest was just the ticket. Just a fun piece that I did this last hour. The paint isn't dry yet. Thanks for your support. 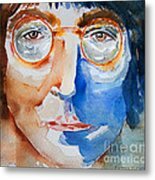 Although the music of John Lennon will always be vibrant and alive he also stood on the world stage setting an example for Peace and Love. I hoped to capture in this portrait his vibrancy but also a sadness as the world has not yet found peace. TRY HARDER TO IMAGINE.....then act on it!